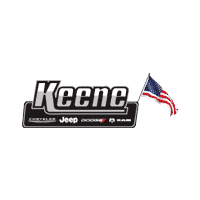 You’ve bought or built your custom Jeep Wrangler in Keene, NH, and now you are ready to start exploring the world of off-roading. While rock-crawling sounds intimidating at first, it’s one of those situations where you learn firsthand that once you’ve applied the knowledge you’ve learned, it’s a blast. You could read until your eyes hurt, or an expert could talk to you about rock-crawling until he or she is blue in the face, but until you actually get out there and do it, you won’t be able to fully understand how it works. That in mind, it’s still important to know what’s going to be required of you when you finally go out and hit the trail. Here’s five tips on what to do to get started with your rock-crawling adventures. Even if you aren’t new to this type of off-roading, it’s still good to reinforce what you already know. Whether you bought your custom Jeep Wrangler pre-modded or you built it yourself, you have to know your equipment. I’m not just talking about changing your windshield wipers, either. I’m talking about the equipment that is the buffer between a fun, safe, and successful rock-crawling excursion, and one that is potentially dangerous. While rock-crawling can be dangerous, the risk is minimized if done right and with the proper equipment on board. Therefore, you need to understand how your equipment works and how to fix it if it breaks. If you built the rig yourself, chances are you already have a good understanding about the gear. If you bought it from a place that builds custom Jeeps for you, however, you might not know about some of the equipment. This means you need to take the time to sit down and learn about the parts. Ask a trusted and knowledgeable Jeeper friend, or talk to a mechanic at the shop where you bought it to give you a crash course on how the parts are installed, how they function, and what needs to be done to repair them on the trail. If you don’t take the time to learn how to do this and just jump out there, you risk getting stuck with no knowledge of how to fix your Jeep so you can get yourself back home. With that in mind, it’s also important to carry spares. At the very least, carry a spare u-joint, hubs and axle-shafts, and a front or rear driveline. While other parts of the vehicle get abused, these are typically the problem areas when it comes to rock crawling. Also, anything like extra wiring, fuses, nuts, bolts, and important fluids are easily stowed and sorely missed if they are needed for repairs. Even having the ability to recognize if something is wrong with your Jeep is a life-saver on the trail. That way, you don’t go traversing rocks with a broken locker, and then get stuck because you can’t get a good enough grip on the terrain. When a knight went into battle, did he ride in wearing just a tunic and pants? Of course not, he was wearing a full suit of armor carrying a shield and sword. When your Jeep rides into battle against the rocks, do you really want it to be completely exposed to all the dangers present? Of course not, which is why it needs to be armored. The armor in question comes in the form of various aftermarket parts that can be installed on the Jeep. Items like rock sliders, skid-plating, heavy-duty steel bumpers, and a roll cage will help protect you and your Jeep when it inevitably bangs, scrapes, drags, or clacks up against the rocks. For example, skid plates installed in the front and back will help protect important parts like the suspension, oil pan, and anything else that makes up the “guts” of your vehicle. The rock rails that get installed on the bottom sides of the body ensure that the actual body won’t get damaged, therefore prolonging the life expectancy of your Jeep. If you are on a budget, at least make sure you have a roll cage, skid-plating, and rock rails installed. The roll cage will help protect you if you bite off more than you can chew and end up rolling over, and the other two components will make sure any important parts are covered. It’s not called “rock-sprinting” or “rock-running,” it’s called rock-crawling and there’s a reason for that. When driving on snow or sand, what happens if you apply too much gas? The tires spin, and you lose control. On rocks, the tires will spin even more, and the risk is much higher if that happens. When you are traversing over rocks, low rpm, low-gearing, and going light on the gas is key. Most rock-crawling obstacles can be completed under 2,000 rpm, which means you need to be in 4Lo and 1st gear to do this successfully. Anything more than that, and you risk hitting obstacles or rocks too hard – possibly breaking something – or spinning the wheels and getting stuck. A big portion of being able to travel this speed is picking the right line – which is the path you are going to take over the rocks. Typically, you want to make sure you will be as straight as possible, and also traveling on the high points of the trail. Don’t be afraid if the Jeep will flex, because it’s better to have one wheel up on a rock and another sitting on the ground than it is to take a lower path and possibly get stuck or wedged between some boulders. Also, always make sure to go slow uphill, and as slow and straight as possible when descending. Never go down at an angle, as this makes it easier for the Jeep to roll, and always make sure you aren’t giving it too much throttle. This may result in too much of a bouncing effect, and potentially cause you to lose control when descending. As a rule, you want to make sure the ride is slow, smooth, and straight. Which is why if you are new, it’s important to practice on trails that are appropriate for your skill level. That way you can practice these techniques and then effectively apply them to harder trails later on down the road. 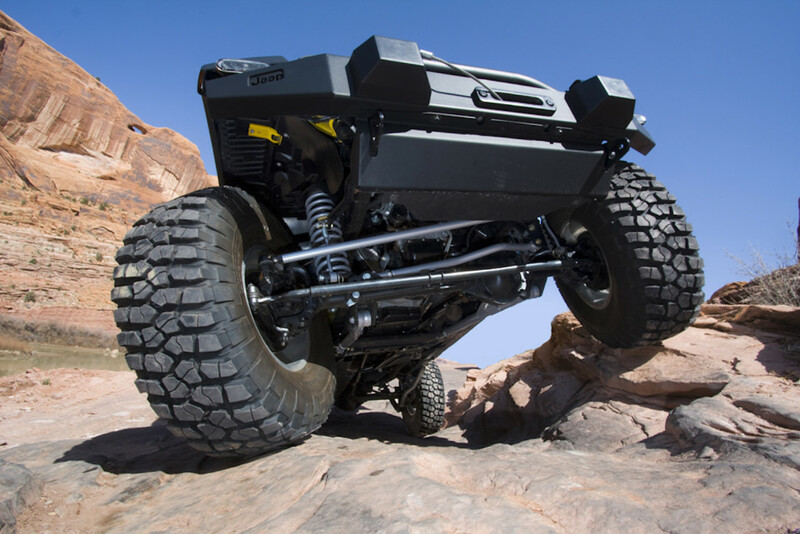 When it comes to rock-crawling, traction is key, and you need to adjust your tires accordingly. 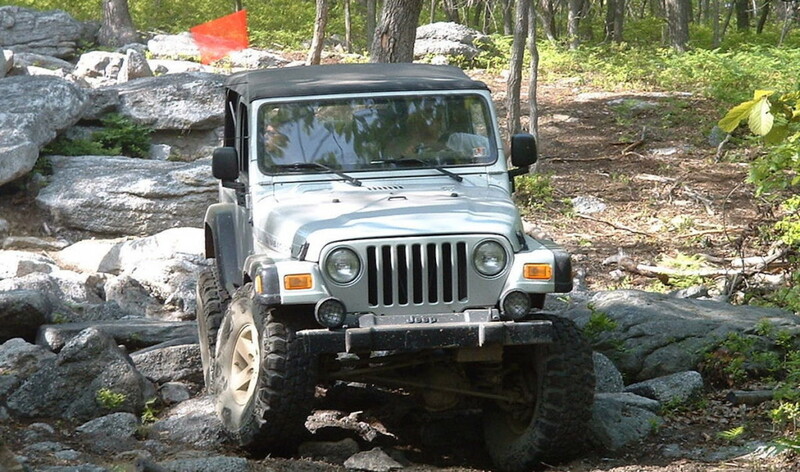 Your tires actually need less air when traveling over rocks than they do when traveling on a basic trail. The point of airing your tires down is simple: it allows the weight of the vehicle to push the tires down further, which makes them wider. In turn, this gives the vehicle more surface area gripping the terrain, which increases traction. While it differs from tire to tire, a good starting point with an average-sized rig (which you’ll probably have) is a subtraction of 10-13 psi. Anything lower than that, and you will damage the bead; anything higher, your tires won’t be able to grip the rocks. Finally, make sure to use a spotter, especially if you are new. Take that trusted friend out or join a club. Find some trails appropriate to skill level, and be open to criticism and ready to learn. Apart from giving you the advice you need to learn how to successfully and safely rock-crawl, they are also able to get out of the vehicle and guide you over any sketchy looking rocks. After all, you can’t see everything underneath your vehicle so having a spotter guiding you through unfamiliar territory and over tough obstacles in invaluable. Learn to trust your spotter’s judgement, and always make sure to pay attention to what they are telling you to do. Don’t turn around if you hear a noise, and don’t try and look ahead of or underneath your vehicle. Instead, put your faith in the veteran spotter. They’ve done this before, and they’re looking at it from a different perspective than you and can see things you can’t – yet! If there is one thing that you should take away from this article, it would be to err on the side of caution. Be patient, learn from trusted friends, colleagues, or a rock-crawling club in your area. Also, never wheel alone when you start – that’s like politely asking a can of worms to open, helping the worms out of the can, and then inviting them over for tea and cookies. The point is, rock-crawling is potentially dangerous, so make sure you learn how to do it right the first time.